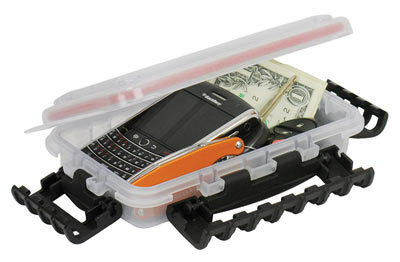 This Waterproof Polypropylene Storage Case is the perfect storage solution for keeping contents dry. Manufactured from Polypropylene , this storage case features one open compartment, a continuous o-ring seal that keeps water out and three tight closing cam-action latches. I'm using it for a scuba toolbox. Couple short combo wrenches, pliers, picks, o-ring kit box.